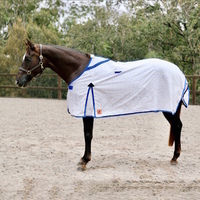 6'9" 6'6" 6'3" (Out of Stock) 6'0" (Out of Stock) 5'9" (Out of Stock) 5'6" 5'3" 5'0" 4'9" 4'6" 4'3" 4'0"
This rug is not only a great paddock rug but it will also make your horse look and feel great. The Rug is made using a 310 Gsm Polyester Rip-stop fabric in a smart Royal Blue & Sky Blue check design. 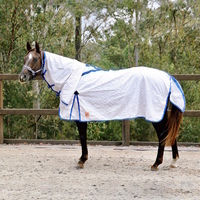 This rug is fitted with the highest quality metal and plastic fittings and has a generous neck size to give your horse that extra freedom of movement. 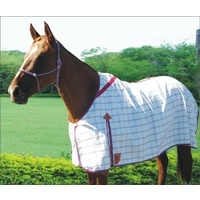 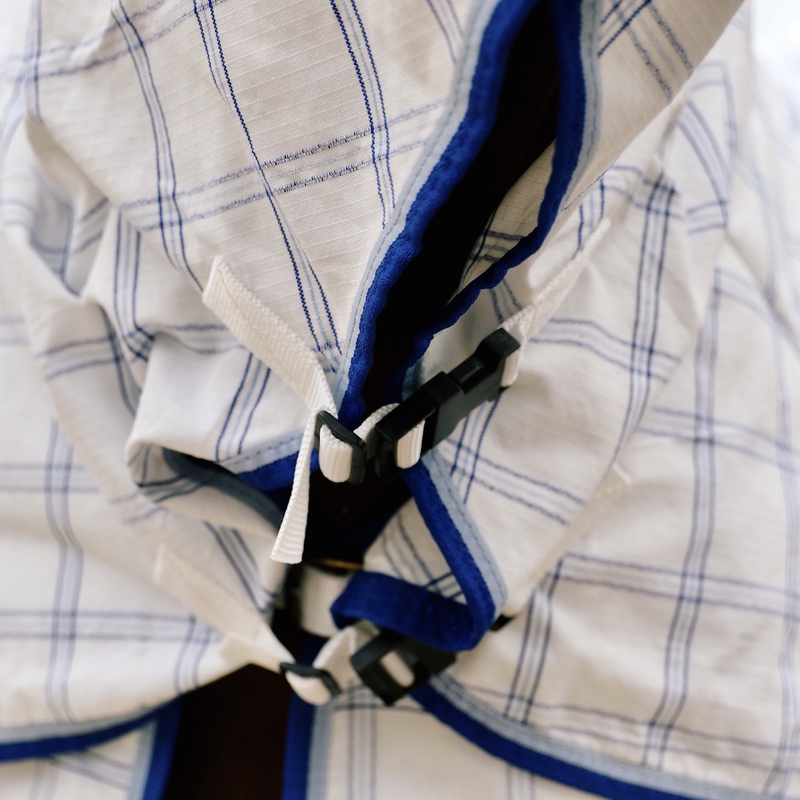 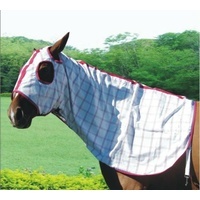 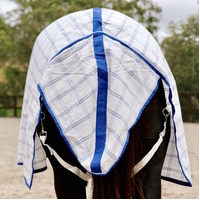 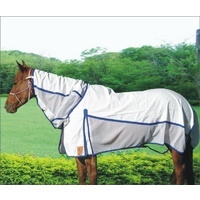 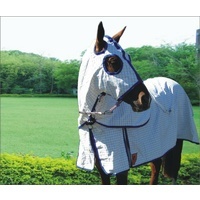 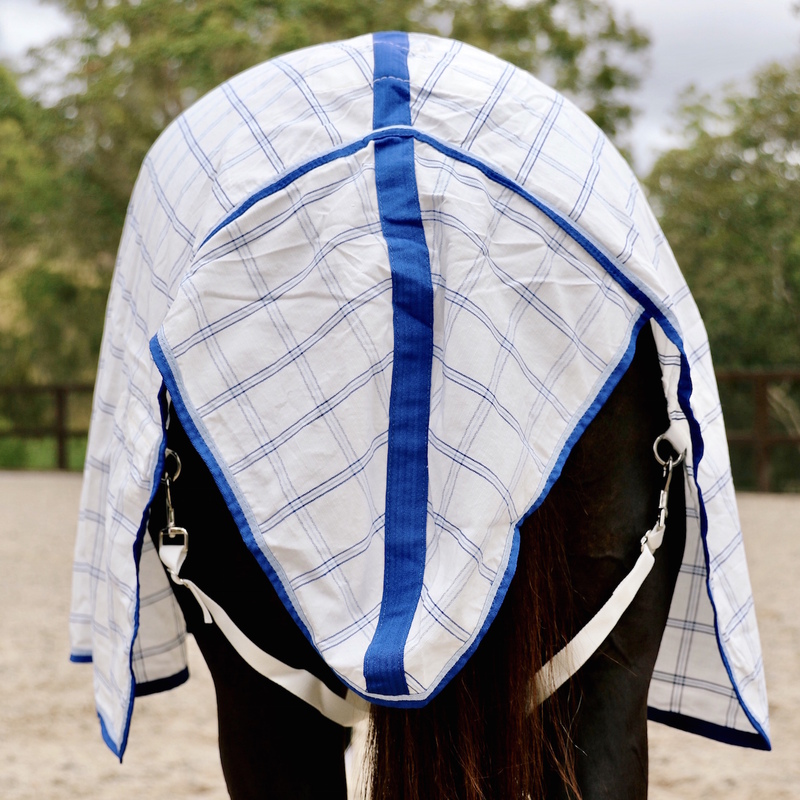 A soft 70D Nylon lining has been used at the shoulders and mane to prevent rubbing. 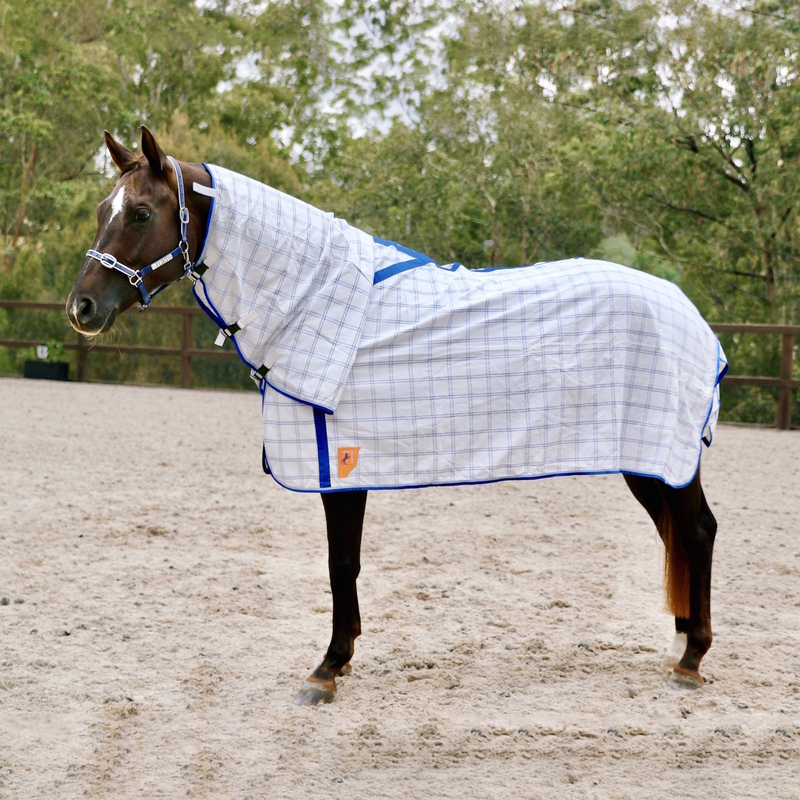 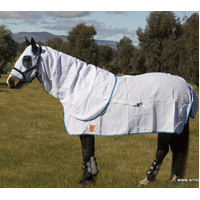 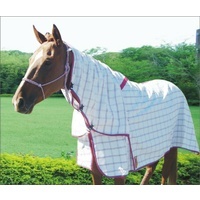 This summer combo is ideal for use as a paddock rug, stable rug or as an under rug. 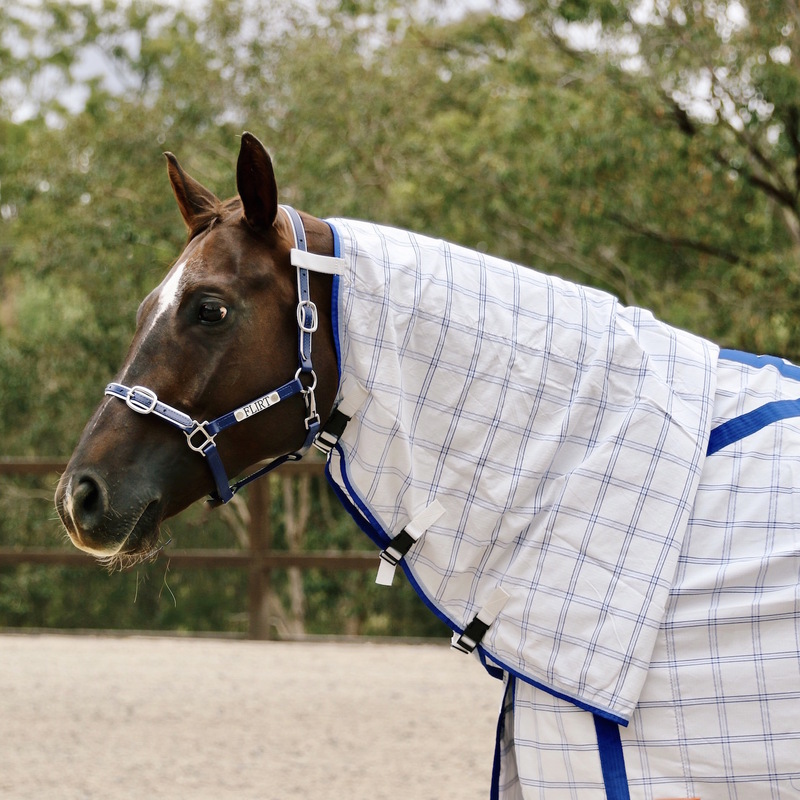 310 Gsm Rip-stop Polyester fabric, in a smart Royal Blue Check Design. 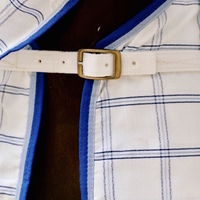 Soft 70D Nylon Lining at the shoulders and mane to prevent rubbing. 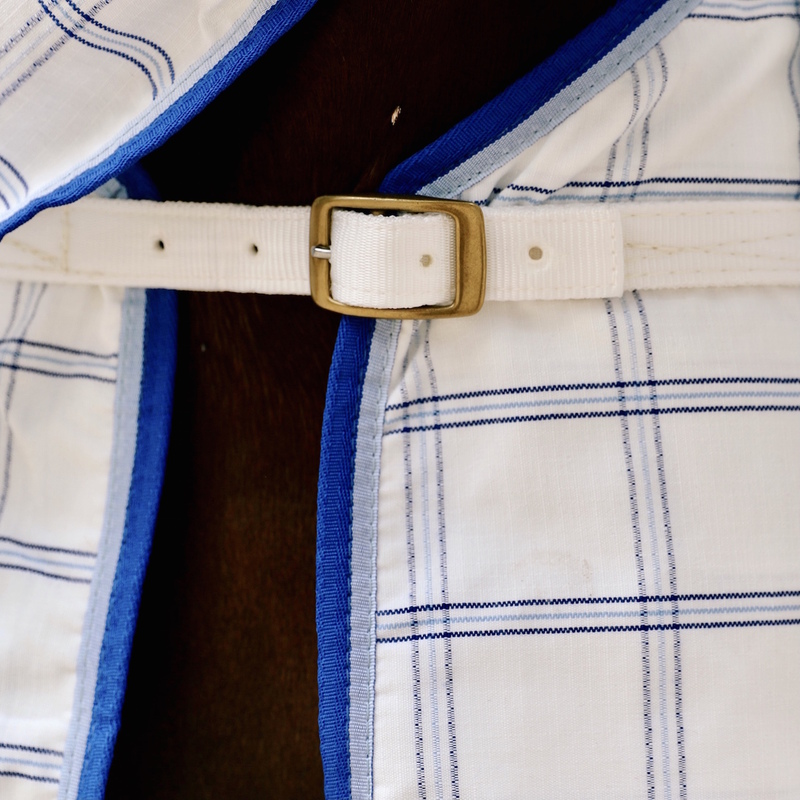 Bound with a matching Two Tone Royal & Sky Blue Polyester binding. 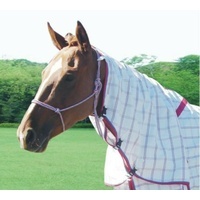 Generous neck size with quality plastic fittings. 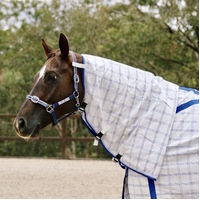 Highest quality metal fittings – O rings, Solid Brass 2 bar buckle & steel snap hook with a SS spring.